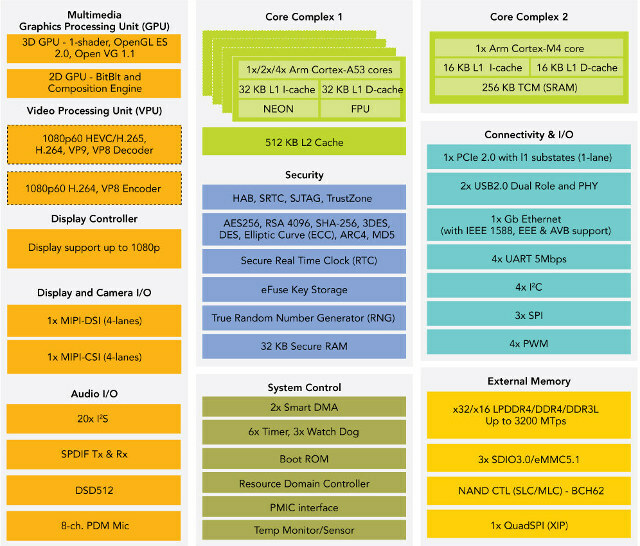 NXP i.MX 8, i.MX 8M, and i.MX 8X processors are barely available, but the company has already announced another member of their i.MX8 family with i.MX 8M Mini processors with one to four Cortex A53 application cores, one Cortex-M4F real-time core, 2D/ 3D graphics accelerator, and support for 1080p video playback and output. Apart from the lack of 4K support, that looks about the same as i.MX 8, but there’s one important difference: the manufacturing process. 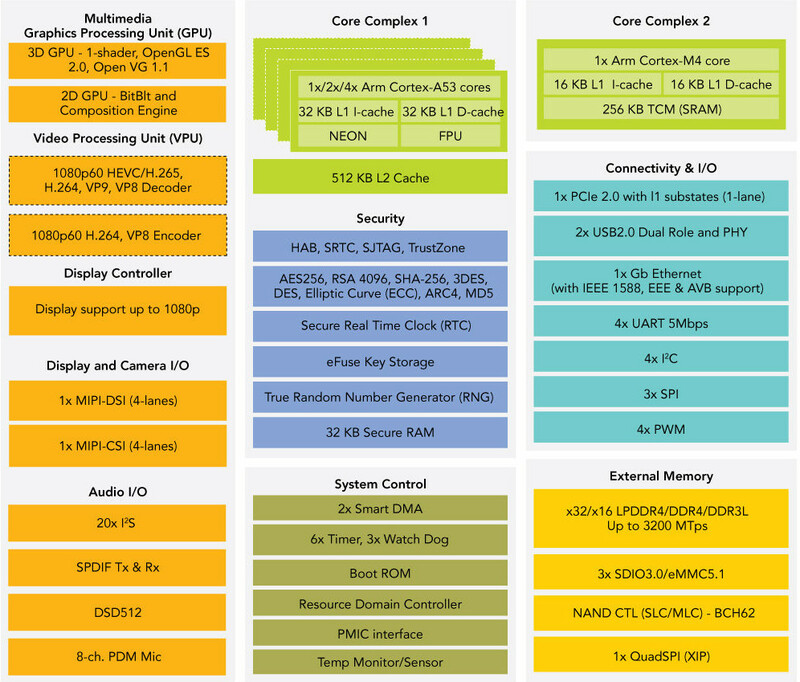 i.MX 8M Mini processors are manufactured using 14LPC FinFET process technology allowing the Cortex A53 cores to reach 2.0 GHz, and the Cortex-M4F core can be clocked up to 400+ MHz. Some video interfaces have also been removed from the new processor such as embedded DisplayPort and HDMI 2.0a. i.MX 8M Mini family will be used in any embedded consumer and industrial application with sampling starting in Q2 2018, and mass production schedule for Q1 2019. Some limited additional information may be found on the product page.